Book your spot ahead of time to ensure availaility. For schools, day camps, businesses, families, associations, etc. Children 2 years old and younger receive free admission. Minimum of 20 guests required. One payment per group only. 25% Deposit required for meal reservations. Reservation required 72h prior to your visit. Receive one free admission for every 20 paid guests on the day of your event (21 admissions for the price of 20). 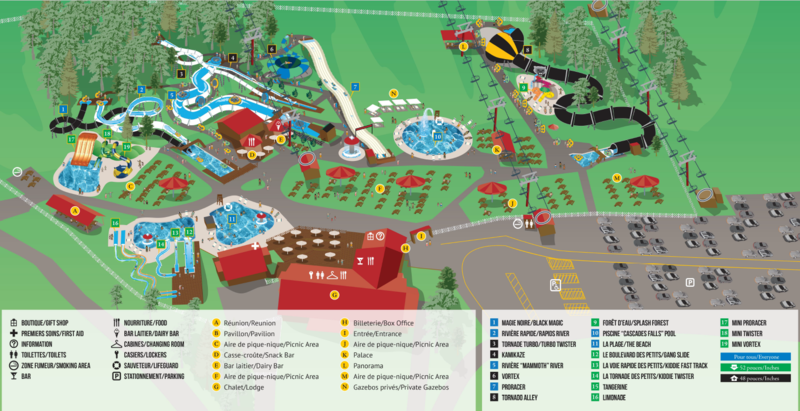 The waterpark’s admission price includes access to all the installations. All listed prices do not include applicable taxes. Dessert – $2.75 per pers.